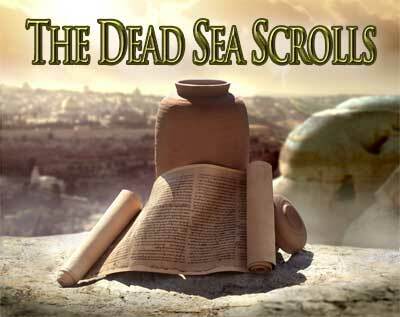 Southwestern Seminary is hosting this semester an exhibition of rare Dead Sea scroll fragments, twelve of which have never been seen by the public. It’s really a remarkable source of research and information about the time when Jesus lived and the early church was formed. In particular, the issue of singing within the Jewish community was an unclear matter prior to the discovery of the Dead Sea scrolls. Certainly the Levite musicians performed music at the temple, but there is no evidence in Scripture that singing was a regular part of synagogue worship or Jewish daily life. In the Dead Sea scrolls, however, we find a clear tradition of corporate singing similar to that which developed in the early church. And all the day long they crush my soul. Among the benefits of these discoveries is the revelation of an apparent tradition of both individual and corporate hymn singing outside regular temple practice in at least one first-century Jewish community. While there is no certainty regarding a direct connection between the Qumran sect and early Christians,7, we have at least some evidence of the context in which the church may have nurtured its own congregational singing, a tradition that flourished in the early centuries of the church and was most greatly cultivated in the post-Reformation evangelical stream. Scott Aniol is an Instructor of Worship at Southwestern Baptist Theological Seminary. Follow Scott on Twitter.